Today was crazy and I have been worried I would not be able to blog today. I did not even pick up my camera–that is a rarity. I cleaned my house trying to get it ready for the holiday season. I moved furniture, cleaned under things (that always feels so good), dusted, hung pictures…I can’t think of anything else. You get the idea–I was busy. The day was not all work and no fun. I ended the night watching Twilight. My daughter watched it last night and said it was the greatest show that she has seen this year. She loved it. One catch–she has not read the books. So I did not completely trust her review. I was so excited that the movie was finally out and I was finally going to see it. Yay! I loved the books. I have read the whole series twice. I know, I know, I am a geek! Oh yeah, I even read Edwards version online. You get the idea–I was excited for the movie. The movie was good. The books were great. Edward–Alright, I did not feel they wrote it to show how charming he was. Emmett–Alright, they did not show how playful he was in the book. Carlisle–He kind of creeped me out–maybe he was supposed to. There you have it. Have a great weekend. Sounds like a great weekend!! I need to clean – when I get my air back! lol! I’ve not read the books or seen the movie…. but I will have to check them out!! My book club is obsessed with Twilight too. We all went to see the movie this weekend. It was so much fun (even blogged about it). 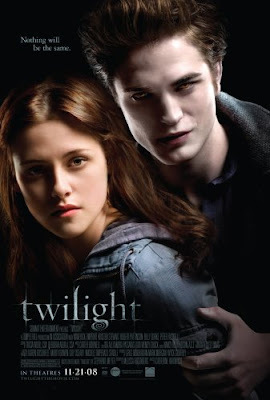 Did you hear the announcement that the New Moon movie was given the green light this weekend? Can’t wait. I loved this movie!!! My daughter took me to see it two days ago and it is still deep in my head following me around like a shadow. Whew….